A one-day training event for youth directors, volunteers, student leaders, Sunday School teachers, and anyone interested in reaching young people with the Gospel, discipling them in their faith, and empowering them as leaders. 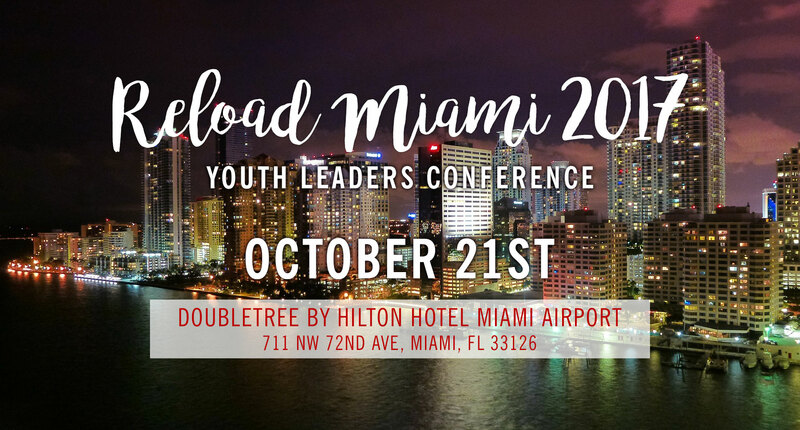 Youth Leaders, Pastors & Student Leaders — We hope and pray you were not affected too badly by Hurricane Irma, and that you are getting back to “normalcy.” This is to let you know that we are back on track with all the preparations for the 29th Annual Youth Leaders Conference: “Reload Miami,” on schedule for October 21st. “Super Early Bird” Discount extended until September 29th! After that the rate goes up.